Lovely gardens, ponds, and waterfalls dot the grounds of Outrigger Royal Sea Cliff located cliff-side in Kona, just 2 miles from golf courses. 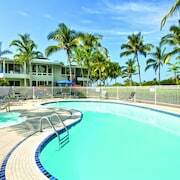 Beautiful property with large rooms and very nice pool restaurant! 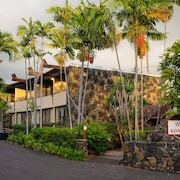 Which hotels are closest to the Kailua-Kona airport? 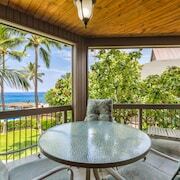 Can you find accommodation in popular areas of Kailua-Kona? 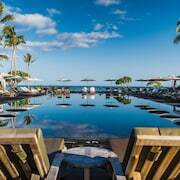 Where to stay near top Kailua-Kona attractions? 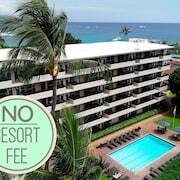 What kind of hotels are in Kailua-Kona? 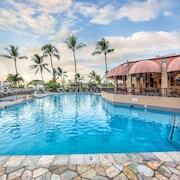 Which hotel chains are in Kailua-Kona? Travelers to Kailua-Kona give high marks for the seaside, volcano viewpoints, and abundant coffeehouses. This city also attracts tourists with its shopping and restaurants. 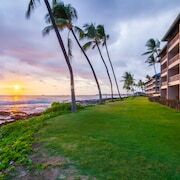 Top sights around the area include Hulihee Palace, Hapuna Beach State Park, and Pu'ukohola Heiau National Historic Site. Attractions like Mountain Thunder Coffee Plantation, Kona Community Aquatic Center, and Kona Le'a Plantation are fun for kids of all ages. The seaside, volcanoes, and sunsets highlight the city's natural beauty, and Queen's Bath, Kiholo Bay, and Manini'owali Beach are worth a visit. The city is well liked for its places to shop, and Keauhou Shopping Center is a favorite for retail therapy. 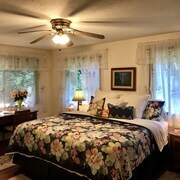 Ohi'a Park Estate - This 4-star bed & breakfast features free breakfast, free WiFi, and free parking. It's a favorite with Expedia travelers for its breakfast and room size. 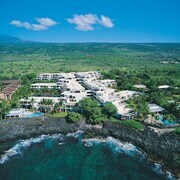 Four Seasons Resort Hualalai - Our customers like the dining options and beach locale at this resort. With a stay at this 5-star resort, guests can enjoy access to 7 outdoor pools and a full-service spa, along with free WiFi. 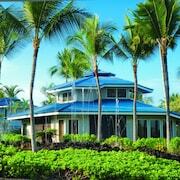 Big Island Retreat - Guests who stay at this 2.5-star guesthouse in Kahaluu Bay can enjoy access to free parking and a terrace, along with an in-room kitchenette. 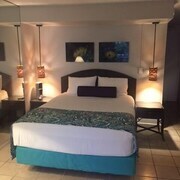 Expedia customers like its beach locale and comfortable rooms. 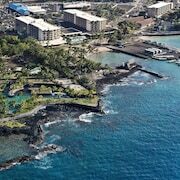 Other top sights in Kailua-Kona include Hulihee Palace. Outside the city, popular places to see include Pu'uhonua o Honaunau National Historical Park, located 23.4 mi (37.6 from the heart of the city, and Mauna Kea Observatory, which is 26.4 mi (42.5 away. 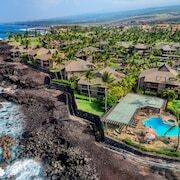 What are the most popular hotels in Kailua-Kona? 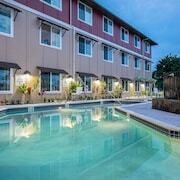 Are there hotels in cities near Kailua-Kona? 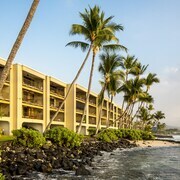 Explore Kailua-Kona with Expedia.com.au’s Travel Guides to find the best flights, cars, holiday packages and more!